Although baths are necessary to get clean and to wind down for bedtime, baths can also be peaceful and fun with the right toys. 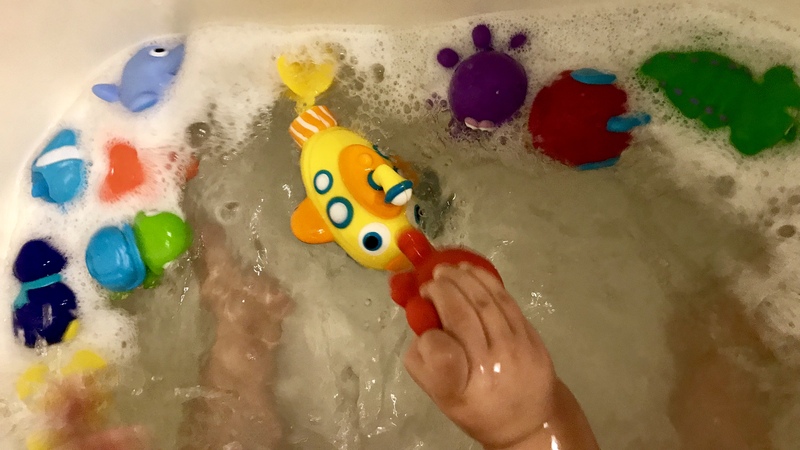 I think we have always had a positive experience with bath time because we have some fun toys that keep our little guy happy and busy. Babies can show interest in bath toys pretty early on, and these toys will help encourage imaginative play and improve coordination. Here are the best bath toys for babies to help make bath time more fun! This post contains affiliate links. 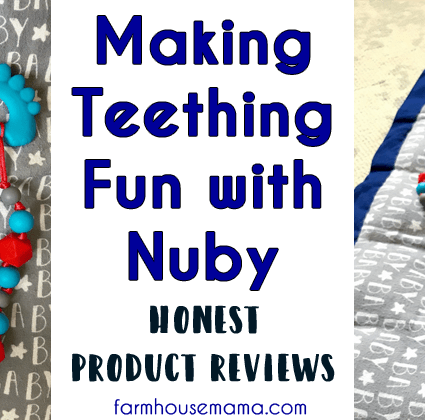 I also received the Nuby Little Squirts in exchange for an honest review. All opinions are mine and are 100% honest. See full disclosure here. Nuby Little Squirts Fun Bath Toys : These 10 cute little animals are the perfect size for tiny hands. 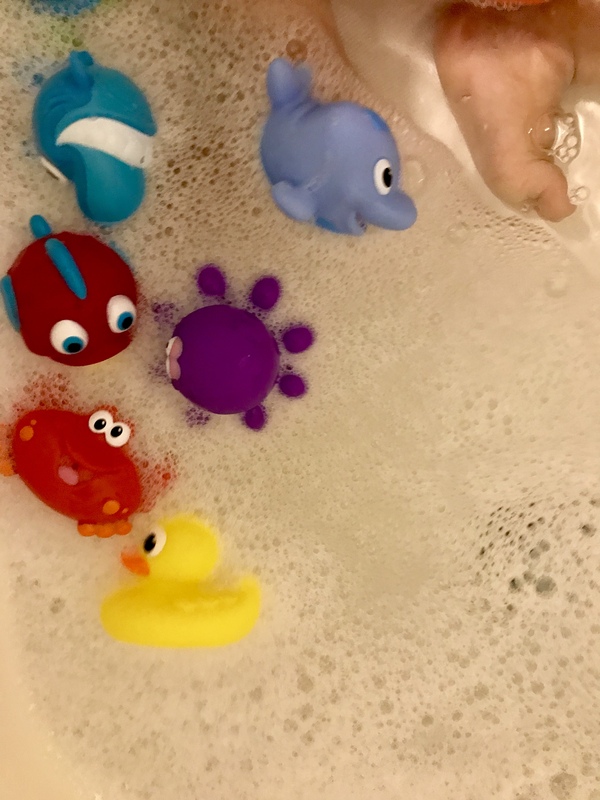 E loves these toys because they are fun to squeeze and squirt water in the bath! These floating characters are made from soft rubber, and they are BPA free (so important!). 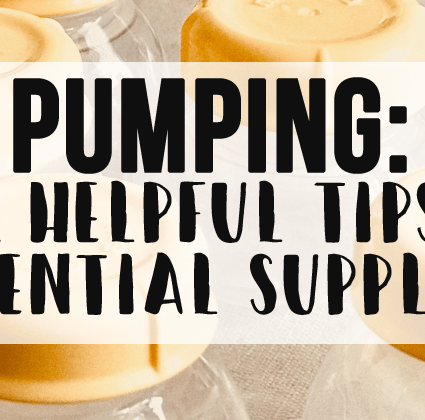 The Little Squirts are recommended for babies 6 months and older, and E is still loving these at 17 months old. 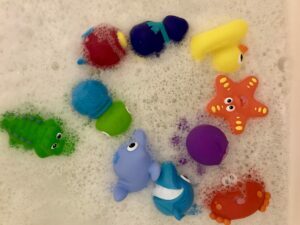 Bath toys, such as these squirters, are even fun outside of the bath. 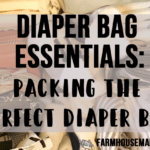 Throw a couple of these in the car or diaper bag to keep your baby happy on the go! The animals are bright and cheerful and definitely make baths more fun! You can find the Nuby Little Squirts on Amazon . They’re even listed as “Amazon’s Choice!” Here are some photos of the bath squirts during E’s bath time! 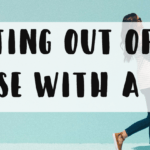 My First Tug Boat : If you’ve read my blog before, you know I love this brand! We have several toys by them and I think all of them could be fun in the bathtub! E especially loves this tugboat because of the way it fills up with water and pours out the front. This large tugboat has brought a lot of fun to baths! 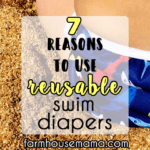 As a mama, I also love that it’s free from BPA, PVC, and phthalate (and it’s made from recycled milk jugs!). After baths, the boat comes apart easily to rinse off. It’s also dishwasher safe if you want to give it a deep clean. This boat is for babies 6 months and up. Stacking Bath Boats : You can never have enough boats in the bath. 🙂 The set of 5 stacking bath boats are fun to float in the tub. We like to turn the boats upside down for waterfall fun, put the Nuby Squirts animals (mentioned above!) inside them to go for a boat ride, and stack them together. 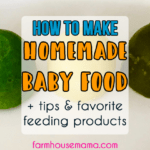 They’re for babies 9 months and up, and they’re BPA free! These colorful boats stack up nicely for storage once they’re dry. Barnyard Bath! : This floating book is the perfect addition to make baths more fun. Maybe you have heard of Barnyard Dance, the famous boardbook. 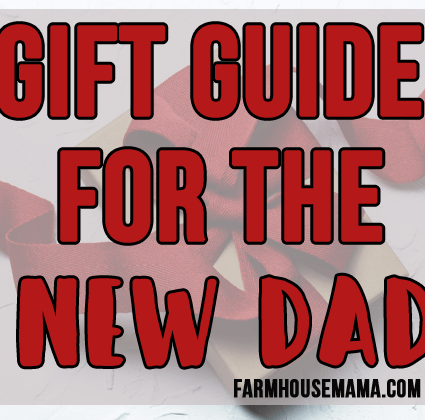 Barnyard Bath is the waterproof and nontoxic bath version! Your baby will have fun “washing” the animals on each page. Oball Scoop ‘N Spill Bath Toy : The Oball stacking cups are great for bath time fun for babies of any age. E has had these since his first bath! He loves filling them with water and watching the water pour out the holes. The scoops are fun because they stack perfectly together and the holes make them easy for little hands to hold. Oball products are BPA free, and the cups are easy to rinse off after bath time. I want to also share my favorite bath “accessories” with you! I love using these products for every bath! These items have really made baths safer and easier. This cute whale faucet cover is so necessary to avoid bumps (especially once your little one starts scooting around the bath). 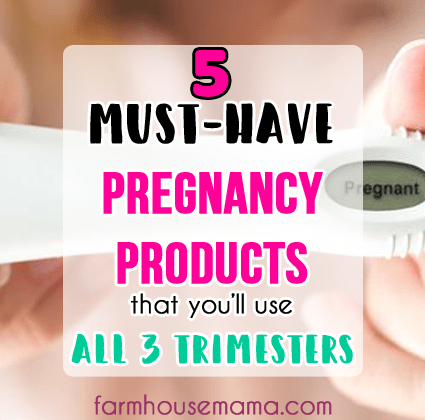 We also love the whale rinser for rinsing the baby’s hair and body. Once E grew out of his baby bath tub , we quickly ordered a nonslip bath mat and a huge toy organizer for our regular bath tub. I like how the bath mat has hundreds of suction cups, and it’s antibacterial, mildew resistant, BPA free, non-toxic, phthalate free, latex free, AND machine washable (phew, that’s a mouthful!). The bath toy organizer is perfect for all of E’s toys. We chose the extra large size because you can never have too many pockets! The mesh allows the toys to dry once bath time is done. The suction cups that hold the organizer up have held up very well. This organizer is also machine washable! 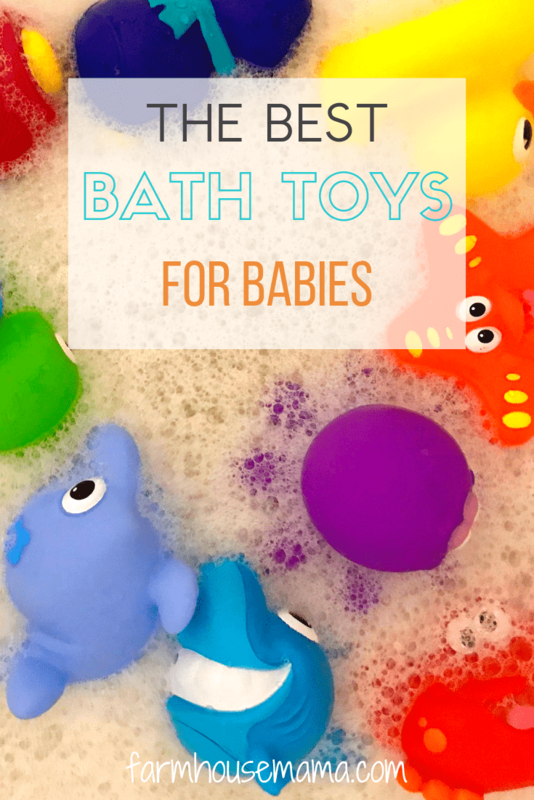 There you have it..the best bath toys for babies! I hope this guide makes bath time more fun! 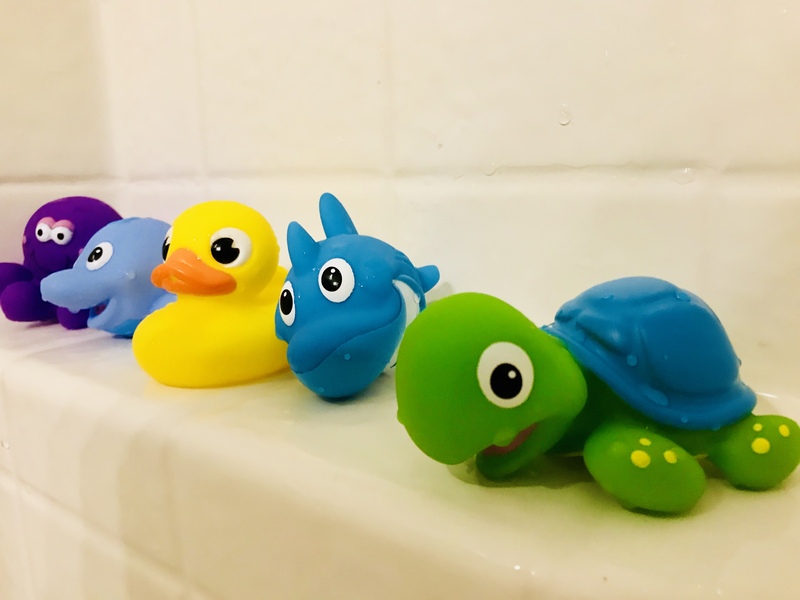 Does your little one have a favorite bath toy? Drop a comment below..I’d love to hear from you! 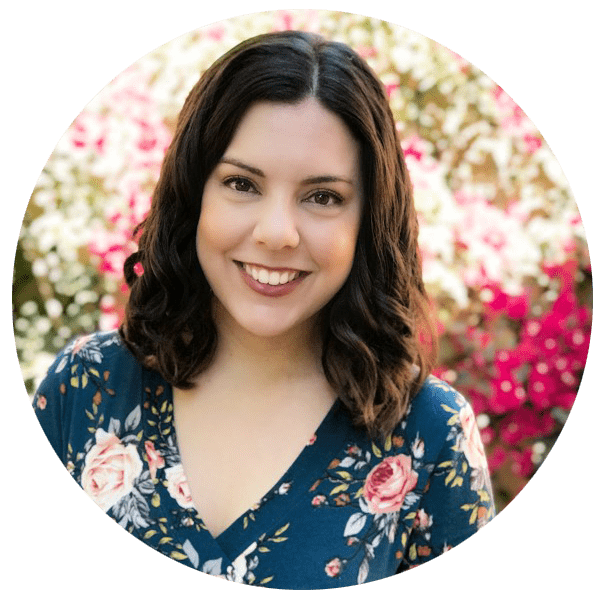 Subscribe to get #momlife inspiration and blog updates by email! Join other mamas below! You’re doing amazing! We have most of these toys. I just wish we had gotten the rinse bucket thing. It would be so nice to have had. Aww yeah! I use that and sometimes even the Green Toys boat for rinsing! Aww! That has saved a lot of bumps on the head for us! i remember having a few of these when my kids were that little and it was sure loads of fun for them.. Cool!! They definitely are fun toys!! That faucet cover is so cute! Plus a great idea. 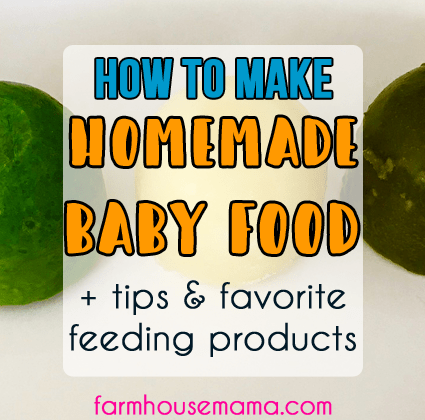 This surely helps me with some baby shower gifts I need to purchase. Thank you! My kids always loved bath time. We had so many bath toys so they could have a fun bath. 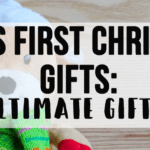 These are all cute toys, and they make great gifts too. My youngest two are 2 and 4, and still love their bath toys (a very similar set to your first suggestion. My eldest had a set of stacking boats like you’ve included, and had a lot of fun with them when she was a child. That’s great to hear they’re loved for years! The stacking boats are so fun too! Absolutely! We’ve had most of those. Have you ever found that the squirty toys get moldy? I’m still trying to figure out a way to prevent this, but it’s mostly been a losing battle for us. We have not (yet) but I have heard about that general problem with bath toys. I remember the Nuby package having directions for cleaning them (I think with vinegar). We also make sure to squirt all of the water out after each bath. Hope that helps! I am gonna some of these toys for our daughter. She loves taking a bath and having s lot of toys in the bath. Thank you for sharing.